Over time, an animal’s life time data can be tracked, good and bad performers can be identified and the input of resources managed to ensure profits are maximised. Cattle identification has both visual and management benefits. By identifying your cattle individually with cattle ear tags, you can more easily determine which cow is which. In addition, being able to track an animal’s history and performance helps you determine which ones are performing well. With the use of a tag reader weighing/drafting/sorting becomes a one person job with auto weight recording. Tru-Test has worked hard to develop their range of electronic readers to be the best available in the market. 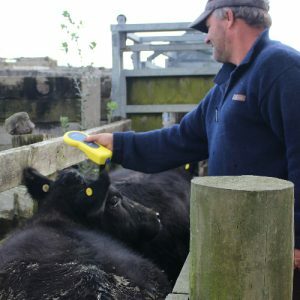 Using Electronic Identification (EID) ear tags can significantly speed up the weighing process, reduce errors from manual input and offer potential labour savings. When read by an EID reader, the EID tag automatically triggers the weigh scale indicator to recognise the animal, record the weight against it and bring up other information relevant to the animal, depending on the level of indicator you are using. Using Electronic ID tags has many advantages. One is that it offers another form of identification for each animal. Sometimes visual tags get lost, dirty, covered by hair, become snagged on a fence, etc, whereas EID tags are small and are designed for high retention rates. Another plus is that an animal can more easily be identified (by scanning the tag with a reader) rather than needing to have the animal be completely still to read a visual tag number. Scanning EID tags rather than writing down VID numbers is a tremendous benefit in saving time and minimising errors. As cattle are being worked or loaded into a trailer, their EID tag can be scanned while they are on the move. Tru-Test EID readers deliver information about your livestock rapidly. View individual animal tag data and capture management information against the EIDs to help inform your animal health, mating and culling decisions. All readers are NAIT tag, FDX and HDX compatible with built-in memory and wireless Bluetooth connectivity. Casings are rugged, reliable, water, dust and shock proof. The fastest hand held readers in the world, Tru-Test EID stick readers also offer the longest battery life. Lightweight and portable Tru-Test’s hand held EID tag readers are also ergonomically designed to be comfortable to use all day. Nothing should slow you down. All Tru-Test EID readers are rugged, reliable, 100% water and dust proof, and come with a 2-year warranty. Suitable for cattle and sheep applications. Eliminate the hassle of manually reading and recording tags on lively stock. EID’s can be quickly recorded by waving the reader past the animal’s ear. The ERS EID handheld reader is an entry level EID tag reader suitable for sheep and cattle. The ERS Handheld Reader is an economical way to read EID livestock tags. 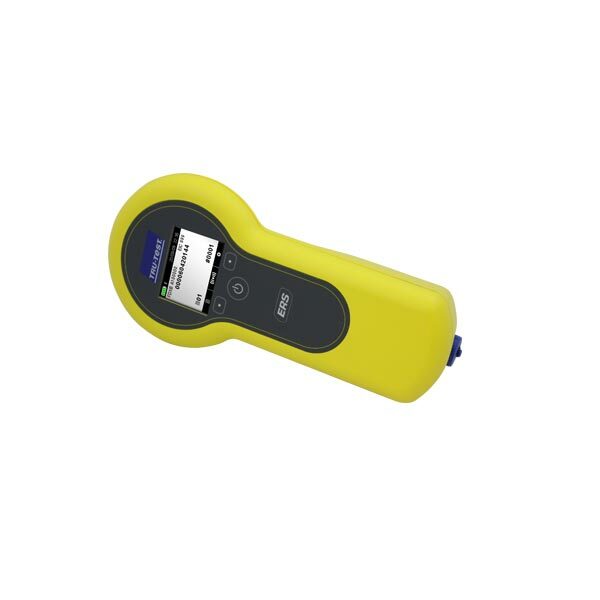 The reader can be used standalone using built-in memory to speed up recording for mandatory traceability schemes or sent directly to a Tru-Test indicator. With only €1 in the difference in price from a standard tag to an EID tag it is well worth the small investment as it can make a farmers life a lot easier in the long run. For more information on EID readers and weighing contact O’ Donovan Engineering on 0217334066.